What Does It Mean to "Go Long" in Forex? This quote shows a rate of $1 US Dollar being equal to 100 Japanese Yen. When you place a long trade on this currency pair, you are going long on the USD Dollar and you'll simultaneously go short on the Japanese Yen, which means you're effectively selling the yen, just like when you short a stock by selling shares. It may sound complicated, but you would make this trade if you believed that $1 was going to become more valuable than 100.00 Japanese Yen, meaning that $1USD = 101.00JPY. Trend-following traders who watch trend acceleration often go long on a trade position and hope to stay in that trade until the trend expires. Why Go Long in Forex? Some of the reasons that traders go long come from technical and fundamental developments. From a fundamental perspective, economic news releases can start to overshoot or surprise economists' expectations. This shows that the economy is doing better than many people expected and there's room for upside on that currency, and therefore, it may be worth buying the currency or going long. 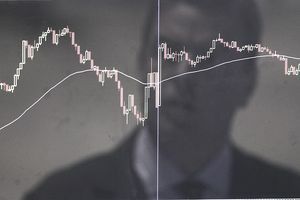 Another fundamental reason that forex traders may decide to go long a currency pair is when a central bank announces its plans for monetary tightening, which historically tends to lift its currency's value. Technical reasons for going long often include currency prices breaking through a certain price-level resistance or a price ceiling. This would show surprising strength in the currency's price mobility and that a new market imbalance may be developing that could turn into a strong trend. Traders also tend to go long when the currency price comes down to a well-defined support level or a price floor. It is important for new Forex traders to understand that any time you are in a currency trade, you are always long one currency of the pair. Even if you were short the pair, you are technically short the base currency, which is the first currency in the pair, and long the price for the counter currency. To borrow an example from another market, when you buy the stock of a company like Apple (NASDAQ: AAPL), you are going long in Apple stock and short the US dollar because you feel the value of a dollar will not grow as fast as the value of Apple stock. You could also look at this relationship as APPL/USD. Also, when you sell your stock back, you can think of it as going long in the US dollar, and short on the stock because for one reason or another you now believe it is more valuable to have cash in dollars​ than it is to hold the stock.